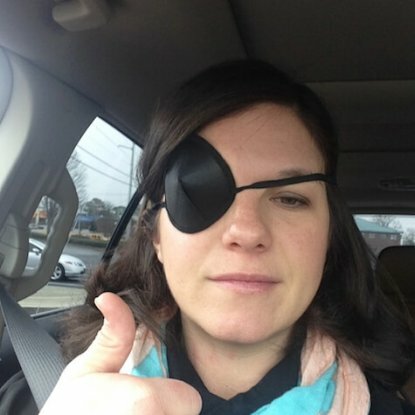 After sharing my Bell’s Palsy story, I connected with several women going through similar struggles. I’m sharing their stories here on the blog with the hope that they will inspire and give hope to others who are struggling. Today, meet Amy. A good friend of mine sent me the link to Holley’s blog and I immediately reached out to her. It was such a relief to hear of someone else experience what I’ve been struggling through for the last 8 months. I realized I wasn’t alone. After communicating back and forth, she asked me if I’d be willing to share my story. Since I’ve been so touched and encouraged after reading hers, I feel like there’s no reason for me not to do so. I’m still on my journey to a full recovery but I’m about 80 percent of the way there. 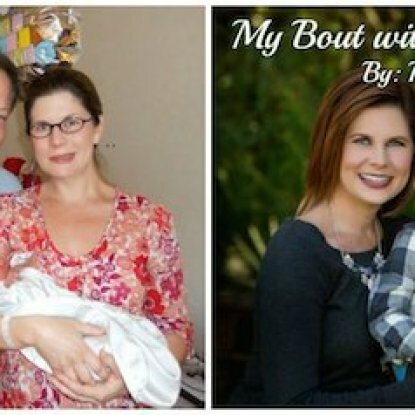 On June 3, 2014, my husband and I headed to the hospital at 4:30am so I could get induced with my first child. There was nothing wrong but I was so uncomfortable, that we decided we wanted to bring our son into the world a week before his due date. I’ll go ahead and state that I won’t do that again unless the doctor instructs me to do so. As soon as I got into my room and had the Pitocin IV put in, I felt my eye go blurry and my mouth go numb. I had to look in the mirror to realize that I couldn’t close my eye and my right side of my face was sagging. 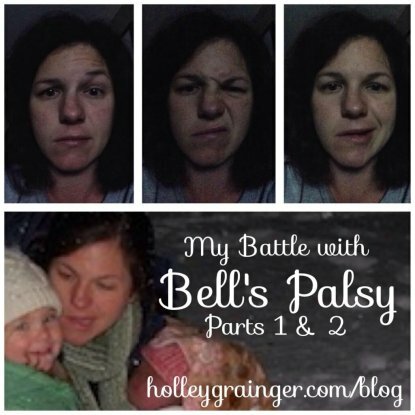 I had never heard of Bell’s palsy, but after several nurses ‘and doctor observation, it was clear that I had a case of it. I was in labor for 27 hours before our sweet Parker arrived, but he was healthy and worth the wait. 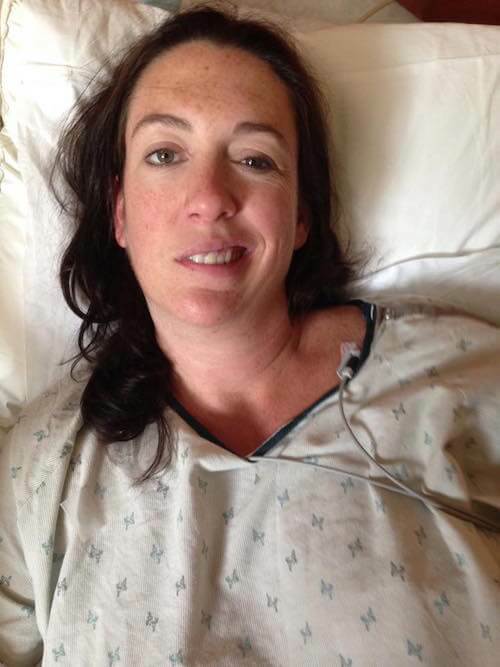 Several hours after I got to my post partum room, the neurologist finally arrived. She did several little tests and diagnosed me with a mild to moderate case of Bell’s palsy. I was prescribed some steroids that lasted for 5 days but nothing else. I was told that I should expect it to last about 2 months. I was okay with that since I had a baby boy to snuggle. I was discharged and never given any other information. After a week at home, I started feeling really hopeless, discouraged, and in constant discomfort. One of my mom’s good friends just happened to call and had some helpful information about Bell’s palsy. She is the one that informed me to cover my eye at night and to put ointment in it each night so it wouldn’t dry out. She also shared with me how chiropractic treatment can help, especially the laser treatment. I first went to a chiropractor that’s a good friend. While under his care I received adjustments, light pads treatment, and encouraged to use essential oils. I really didn’t see any changes during my time under his care, which was for about 2 months. After being so discouraged since I had made it to 2 months without any changes, I decided to go see a neurologist just to make sure it was only Bell’s Palys. He sent me for a MRI and the results came back showing that my nerve was really inflamed, which indicated it was Bell’s. I was relieved it wasn’t a stroke or a tumor. I then decided to switch to another chiropractor who was highly recommended and had some background in dealing with Bell’s. His name is Dr. Louis Obersteadt and he is amazing! He has been so passionate and eager to help me find full healing, that I wish everyone could be under his care. I started seeing him in late August and visited two to three times a week. Dr. Obersteadt adjusted my back and skull, used electronic acupuncture, used muscle pads on my face and neck, and used a lower laser. I have seen huge improvements. I can blink my eye, it closes fully so I don’t have to tape it at night, it doesn’t water constantly, my face is symmetrical, I can feel and see the muscles in my right cheek, I have very little discomfort anymore, and I can somewhat smile. When I show my teeth when I smile and say certain words, you can still tell that I have Bell’s. The top right muscle of my lip is being stubborn and not wanting to relax. It is now February and I still see him once a week. I’m encouraged that so much has improved that I know my smile will one day return. Now that you know my story, let me just take a moment and share how this has affected me. I have felt alone, ugly, disfigured, hopeless, discouraged, and depressed. This has been the hardest thing I have ever gone through. It has been a battle to fight the negative feelings, but I have to remind myself I have so much to be thankful for everyday. I have a husband that loves me unconditionally and still finds me beautiful. I have a son that smiles when I smile at him and doesn’t cry because it isn’t a pretty one. I’ve got the best family and friends that have prayed and encouraged me the whole way. They all have made me feel hopeful and encouraged. I truly believe everything happens for a reason. I’m still figuring this out, but I know that my self-worth isn’t wrapped up in my outer beauty. My worth comes from the Lord and I’m excited to see what He has in store for me. Blessings to those experiencing this horrible virus but know that this too shall pass. Very proud of you for sharing your story. I also have been diagnosed with Bell’s pasly on 3 Aug 2018, I was so shocked I thought that I’ve stroke my left eye couldn’t blink,its like my left side of the face wasn’t working at all but the doctor told me I have this BP, with high blood pressure 2. They gave me the meds,stick to my meds with Chinese herbs on top. Today m from the physiotherapists and m proud to say I can blink my eye and I can smile after some painful electrical thingy that he did on my left face now I can smile normal and I can eat.To everyone out there who’s in a same situation plz stay put,drink your meds, and plz pray coz dats the main thing I was hanging on, you will c.
Thanks for sharing and I’m so glad to hear that you’ve recovered. It can be a scary time!